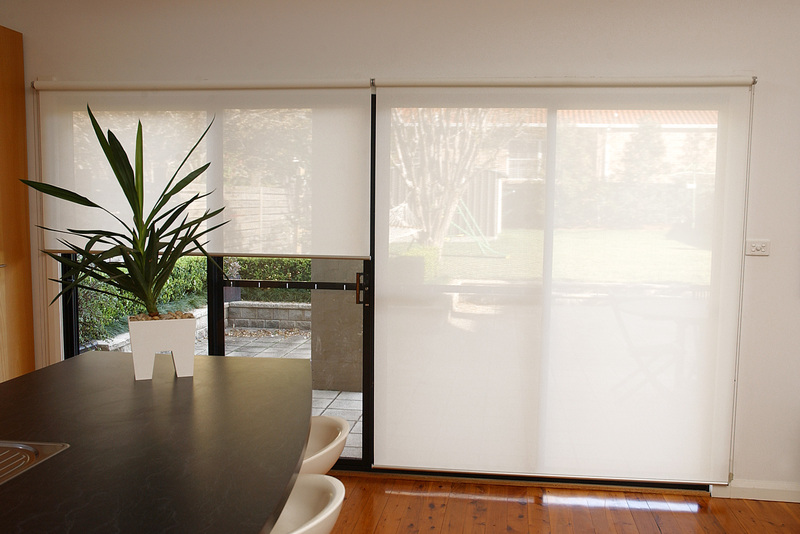 Blinds provide a great option for light, heat and privacy control. 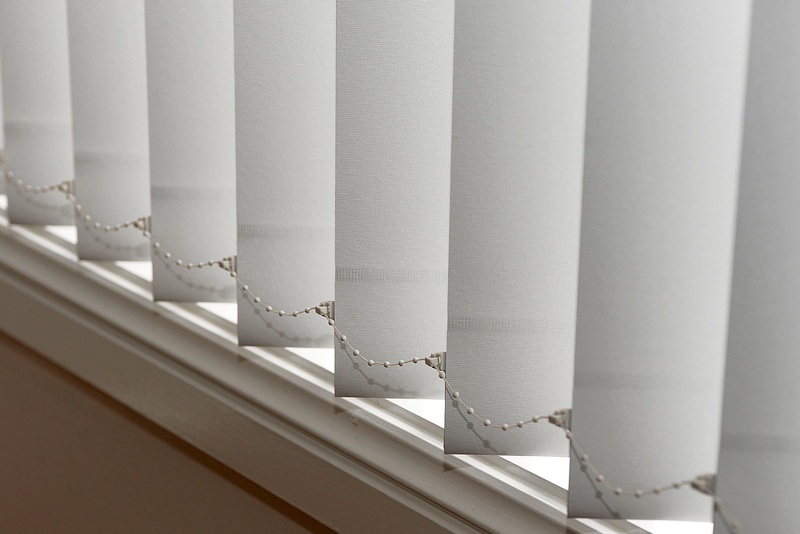 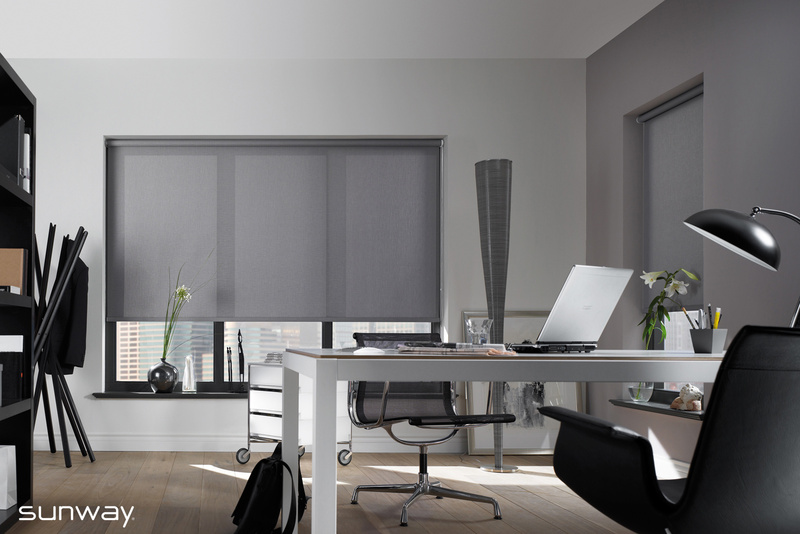 We carry a complete range of Roller, Pleated, Roman, Vertical, Venetian and Motorised blinds to suit any window. 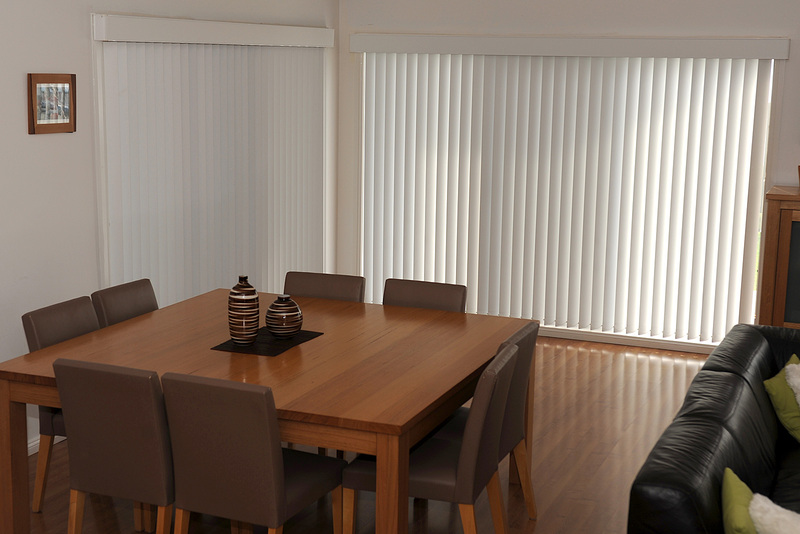 We are the Illawarra's leading distributor of Sunway Roller Blinds and Sunway Cellular Pleated Blinds. 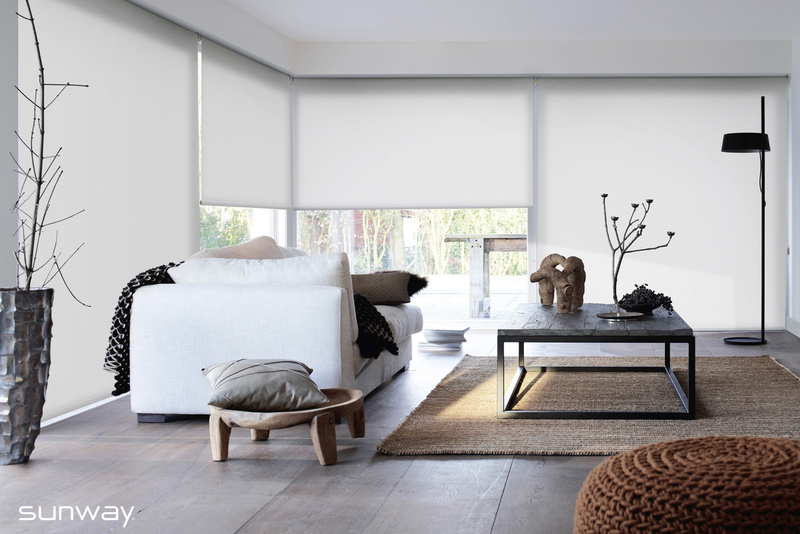 Our range of Sunway roller blind fabrics are designed to work in any home or apartment. 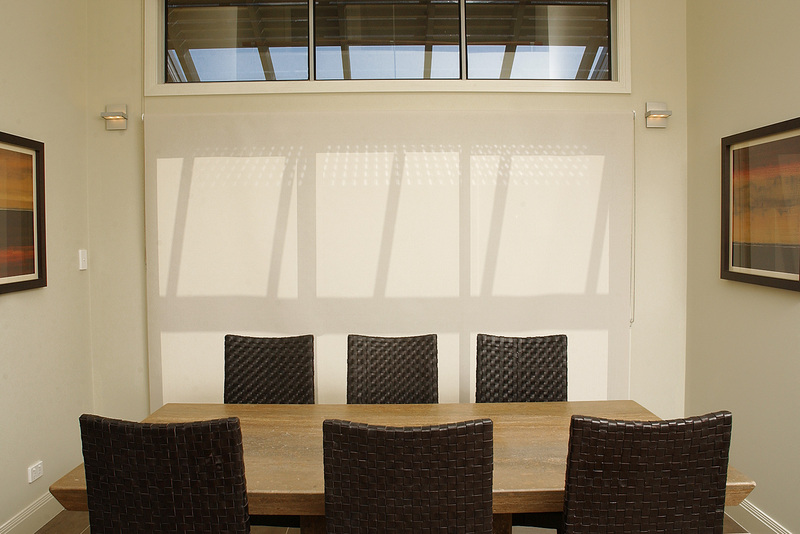 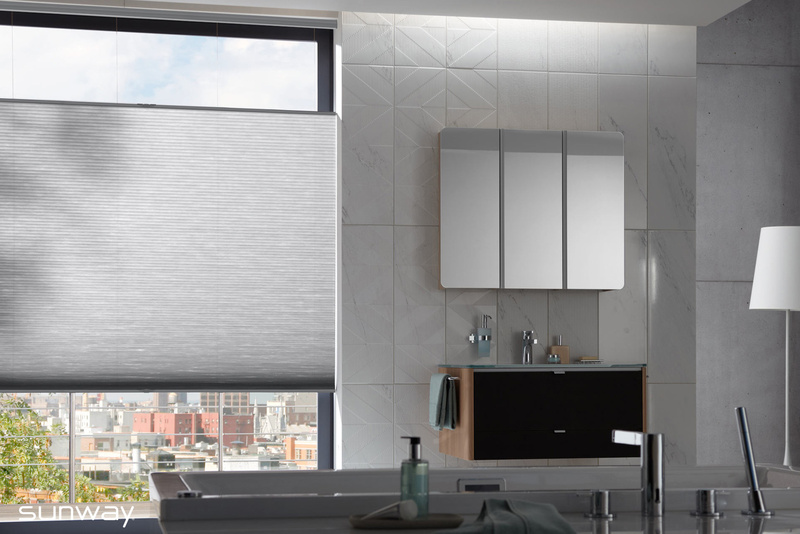 Like our Cellular blinds, they come in three levels of opacity - blackout, translucent & sheer. 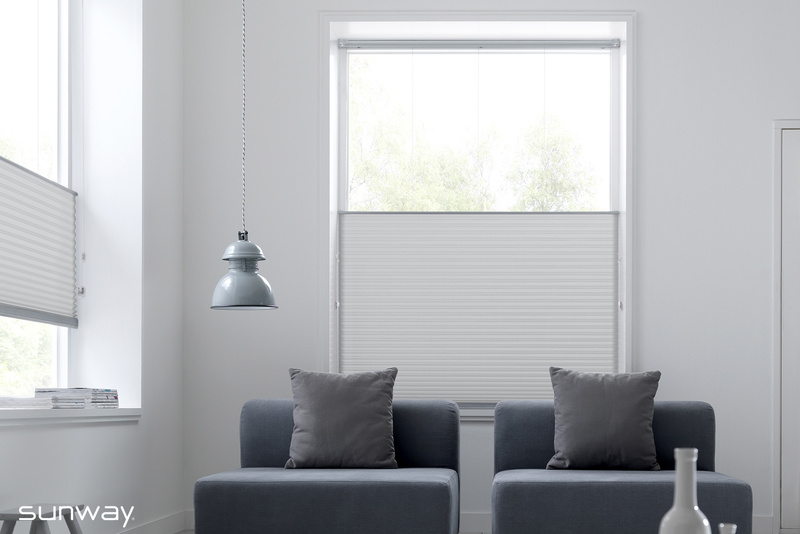 You can mix and match from room to room with the option of the same colour facing the street. 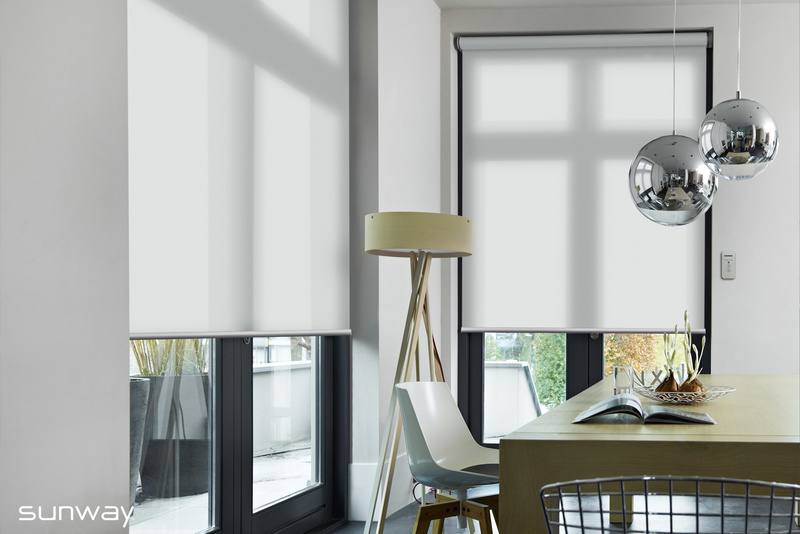 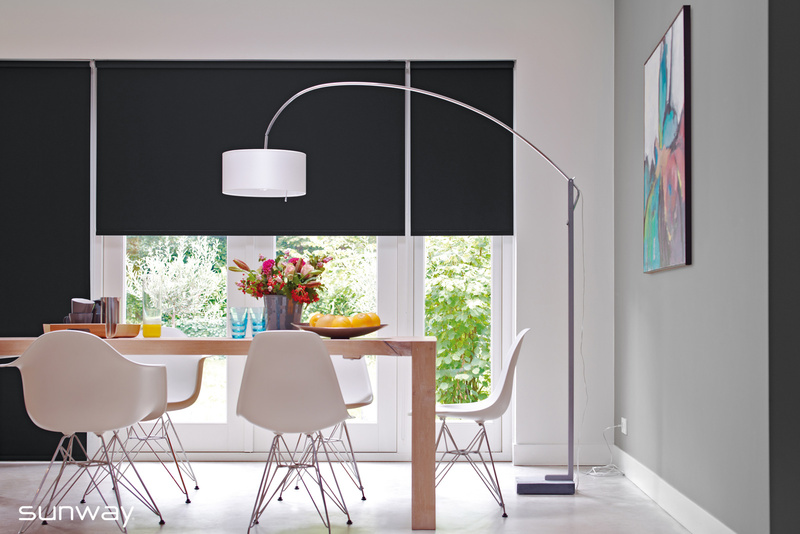 Roller blinds offer a contemporary look, ease of use and the option of remote control. 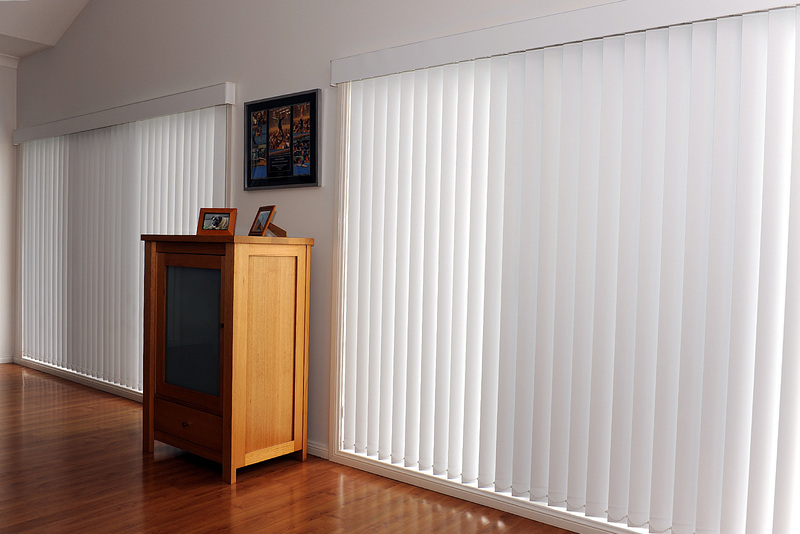 With remote controlled blinds, unsightly cords are a thing of the past. 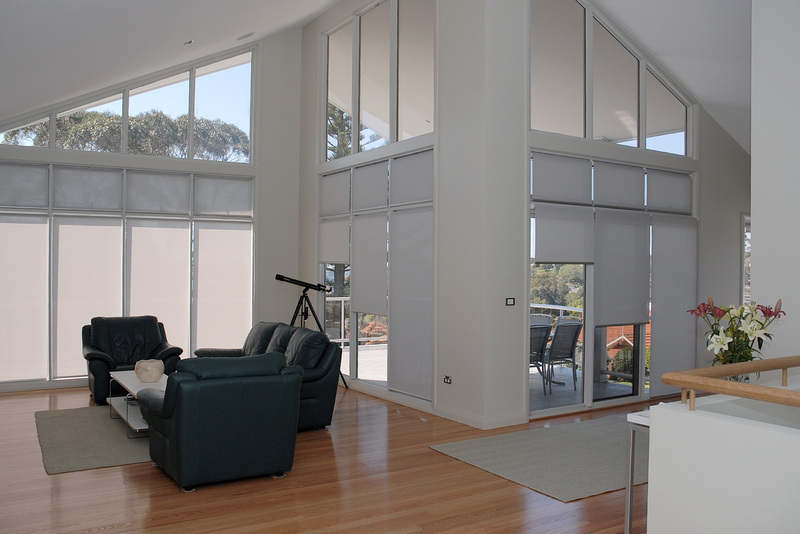 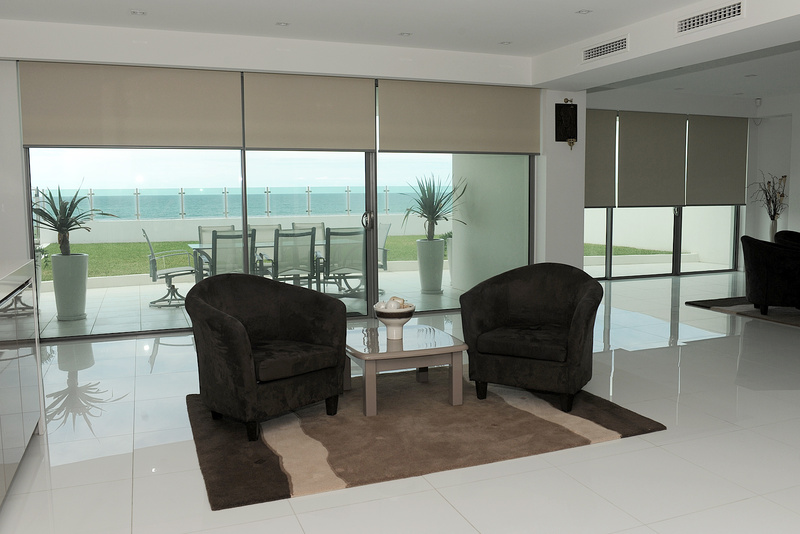 Plus, we can fit remote controlled blinds into new and existing homes and apartments. 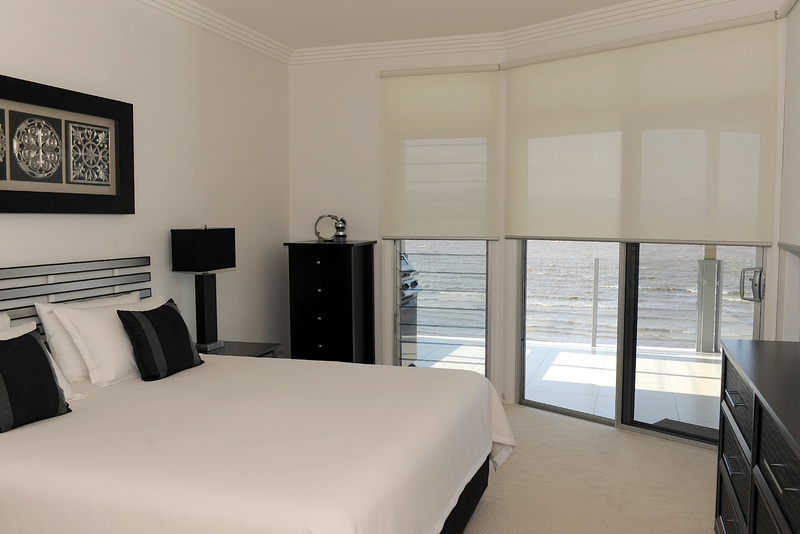 If you are buying off the plan we can provide your builder with everything they need to make the job a breeze. 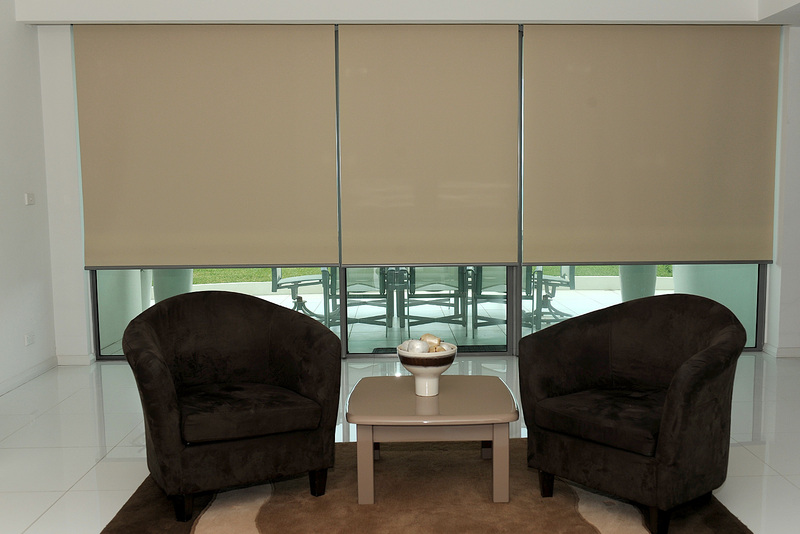 We are the Illawarra’s largest manufacturer of Sunway roller fabrics. 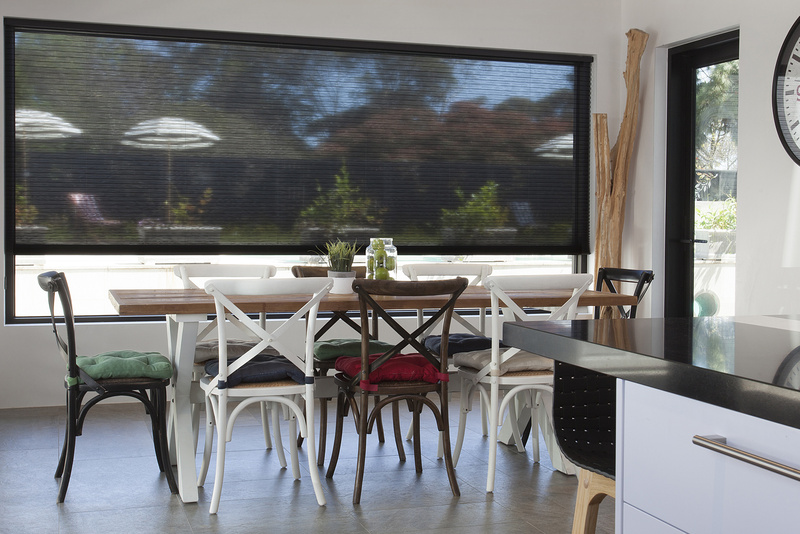 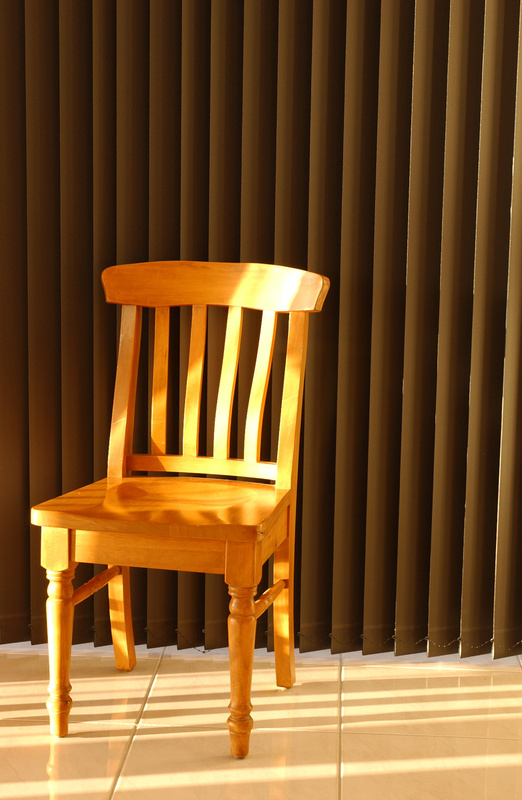 Cellular or Honeycomb blinds offer the perfect balance of style and function. 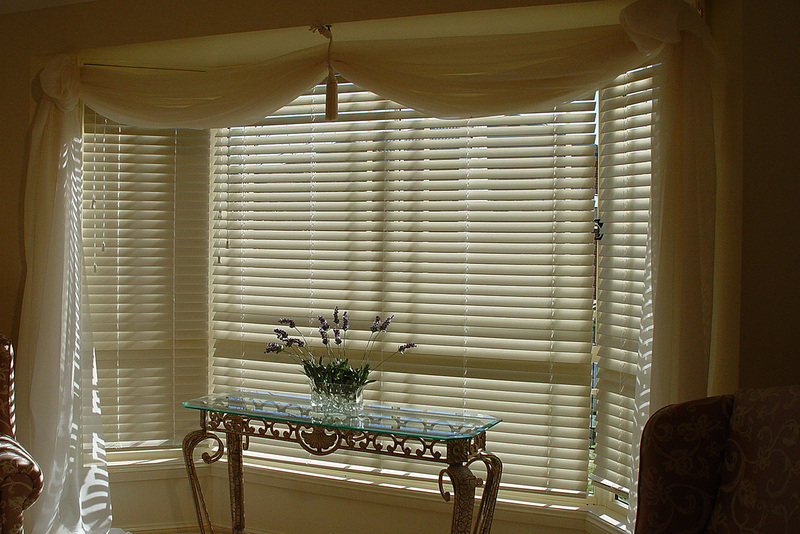 We manufacture them to fit windows of all shapes and sizes and, when raised they almost disappear. 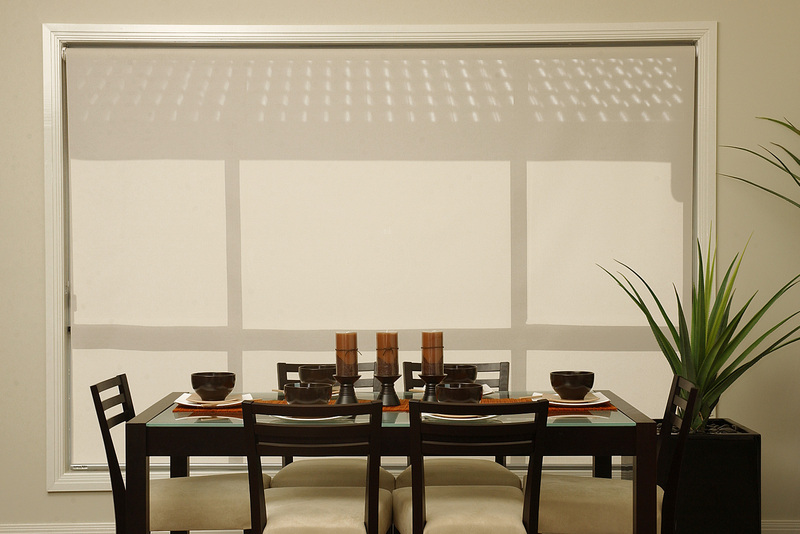 Our Cellular blinds come in three levels of opacity, blackout, translucent & sheer. 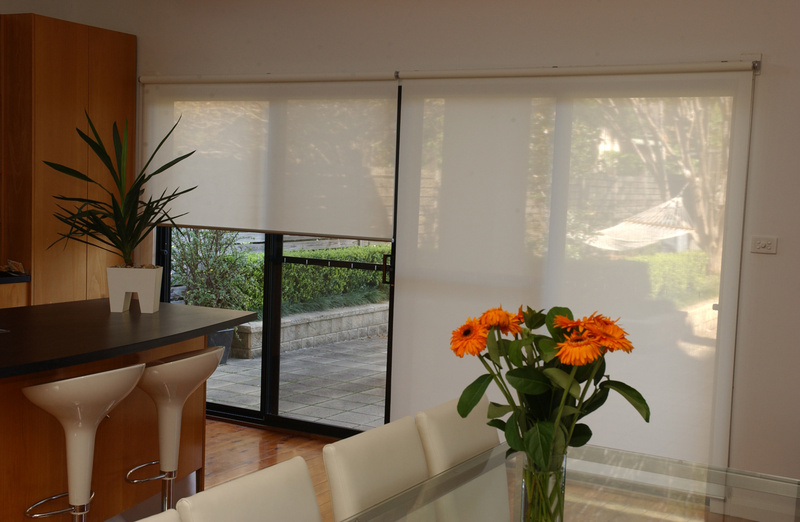 They can be used everywhere from bedrooms for room darkening to living rooms where vision out is required. 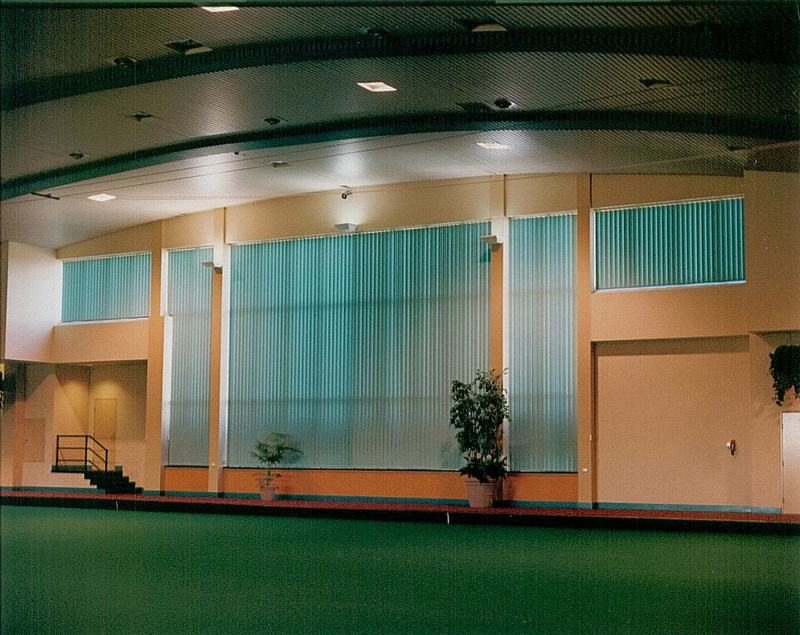 The honeycomb design also provides excellent insulation in winter. 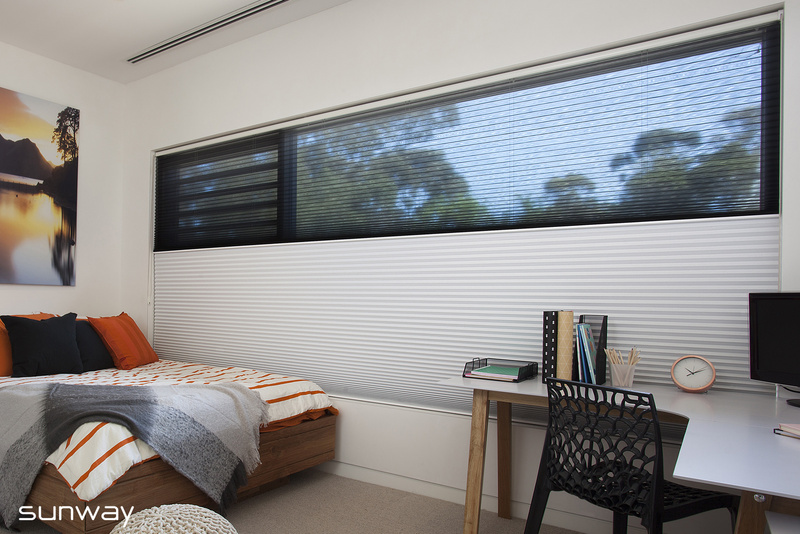 The Cellular pockets insulate, minimising the outflow of warm air, reducing the cost of heating by as much gas 32% in any room. 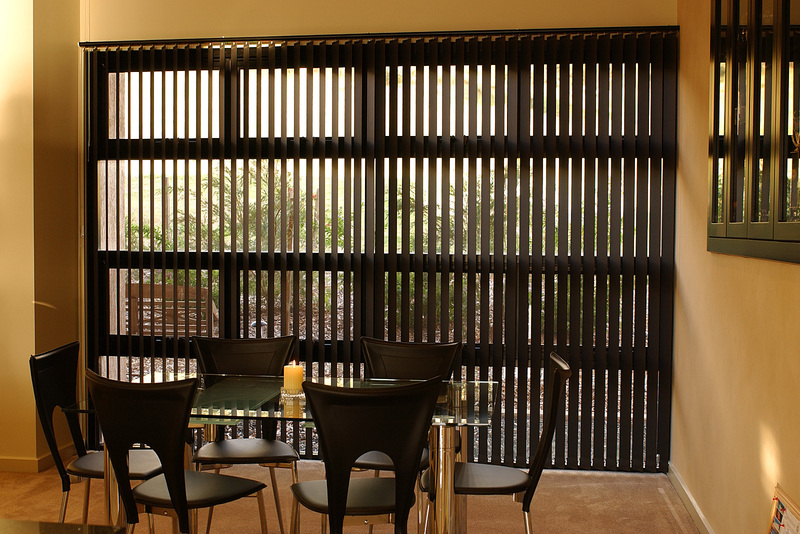 Lastly, the look really says it all.